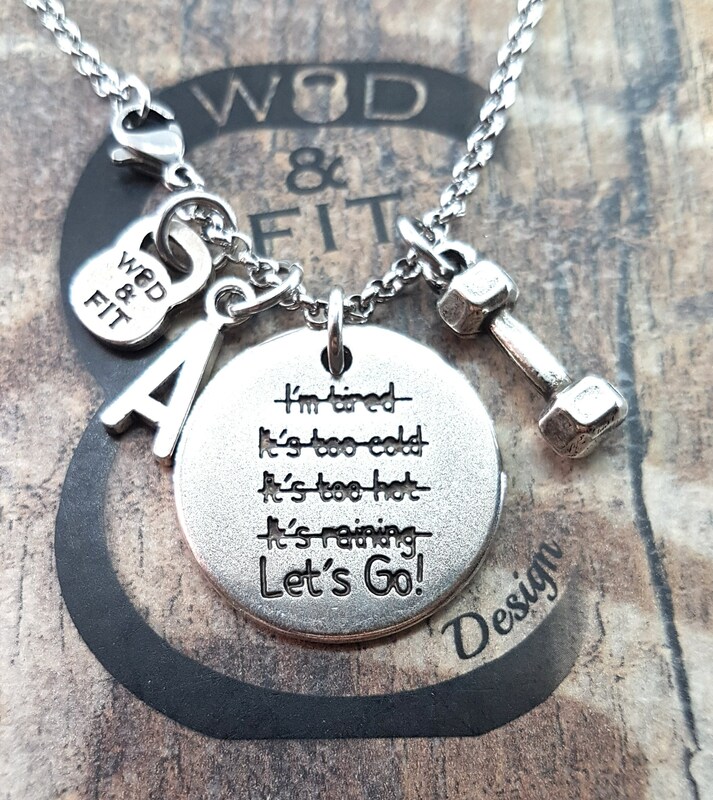 Necklace Lets Go! 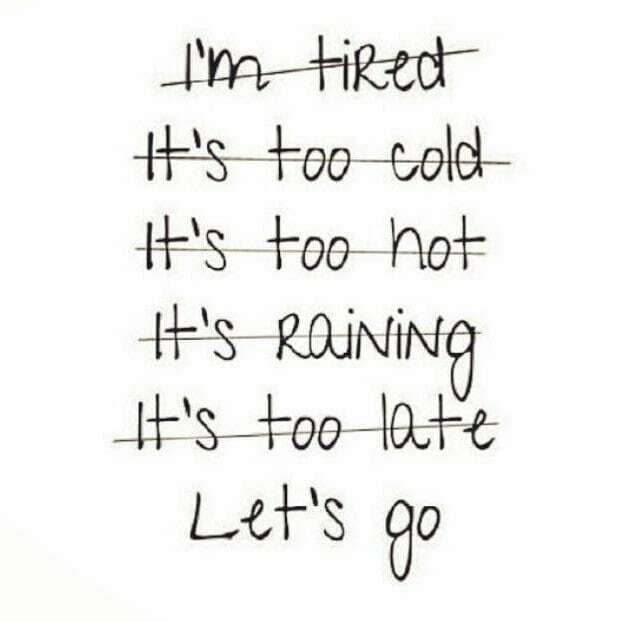 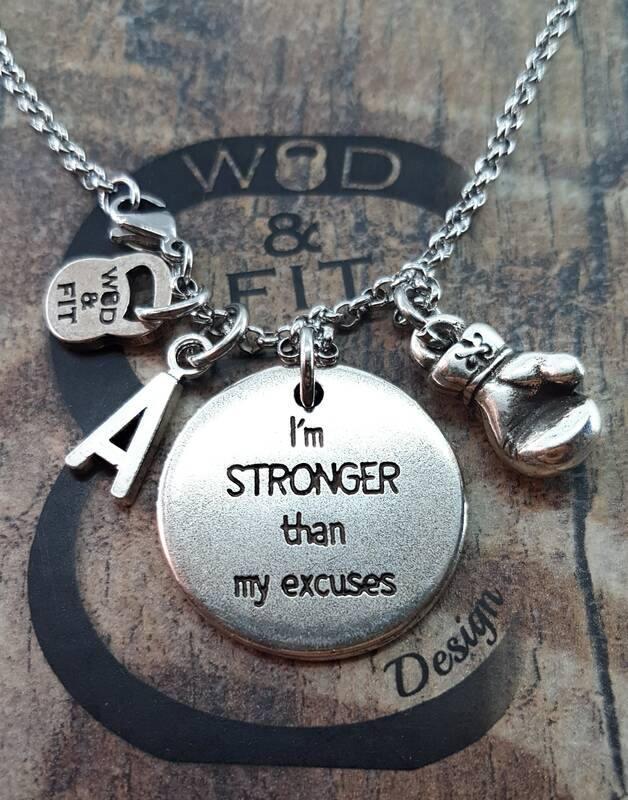 I'm Stronger than my excuses Weight & Initial Leter. 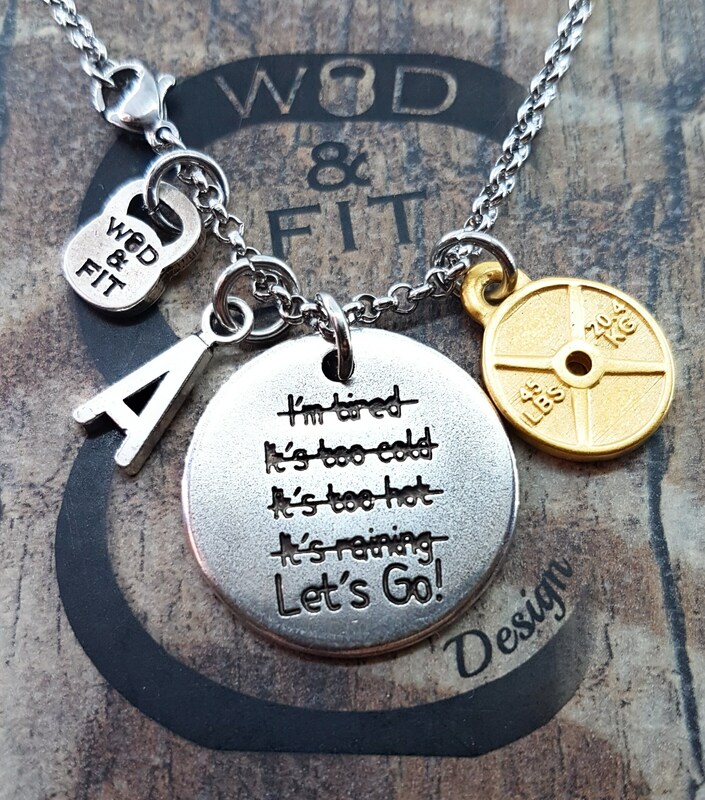 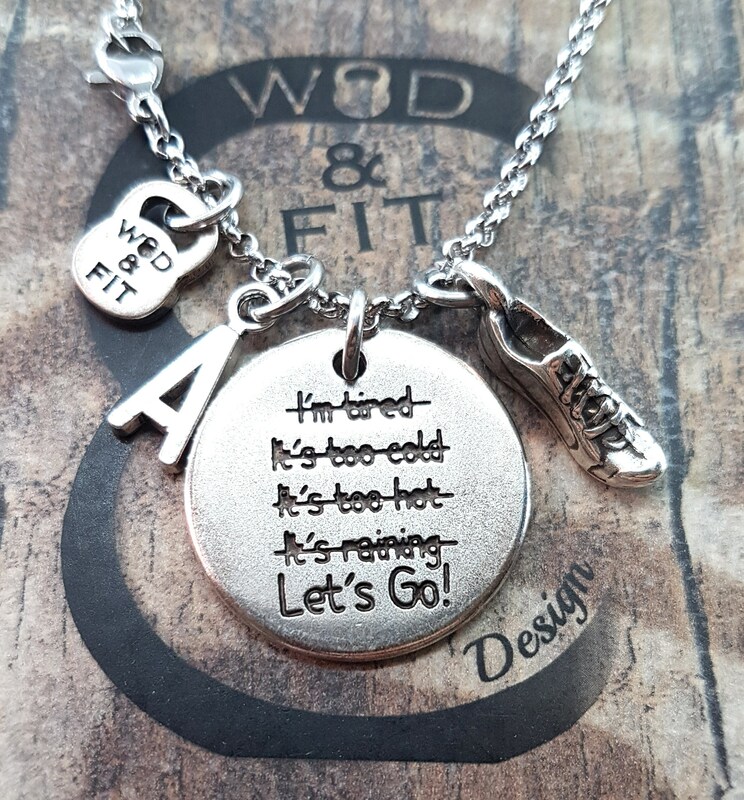 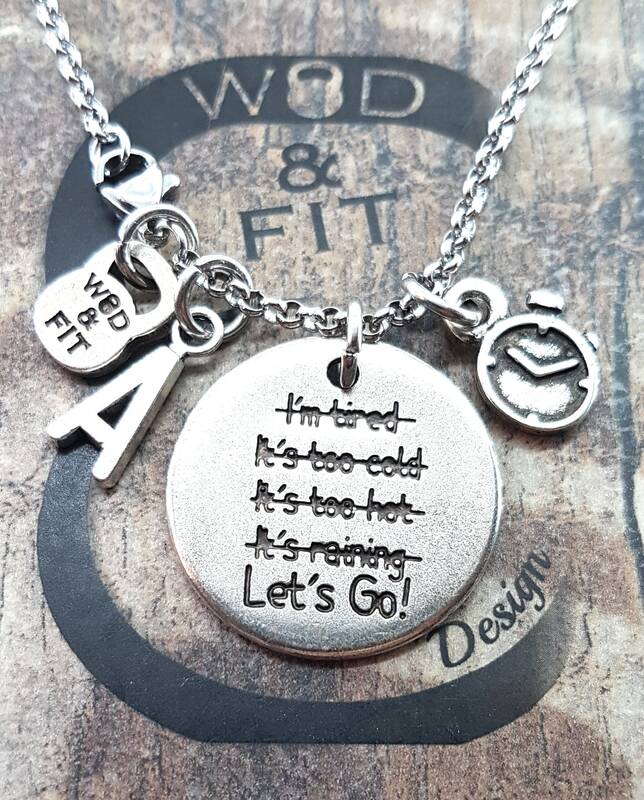 Necklace 61 cm (24 ") in stainless steel with double-sided tag (25mm) with the quote "Let's Go!" 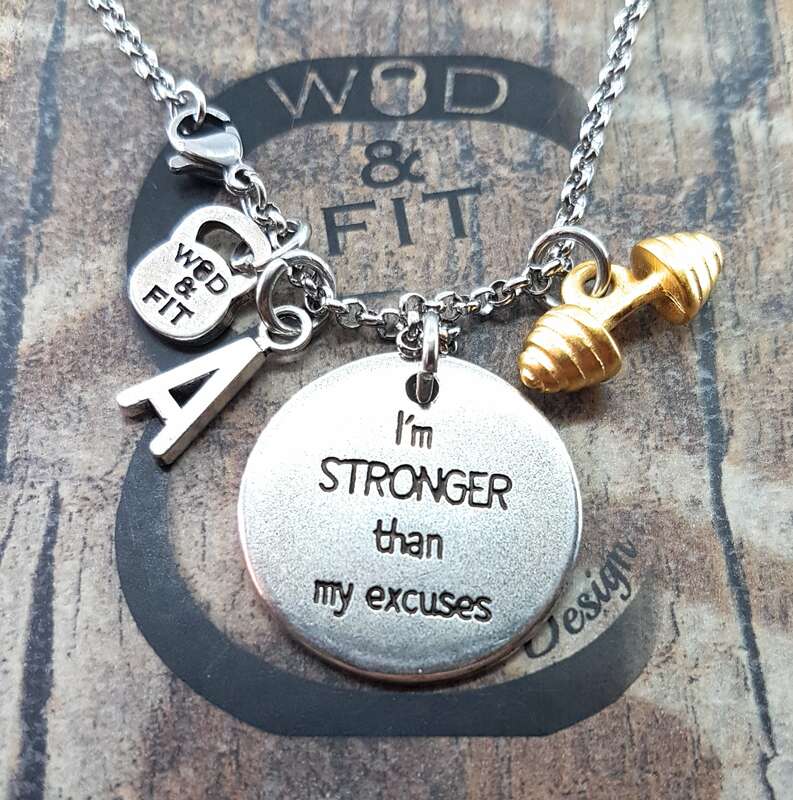 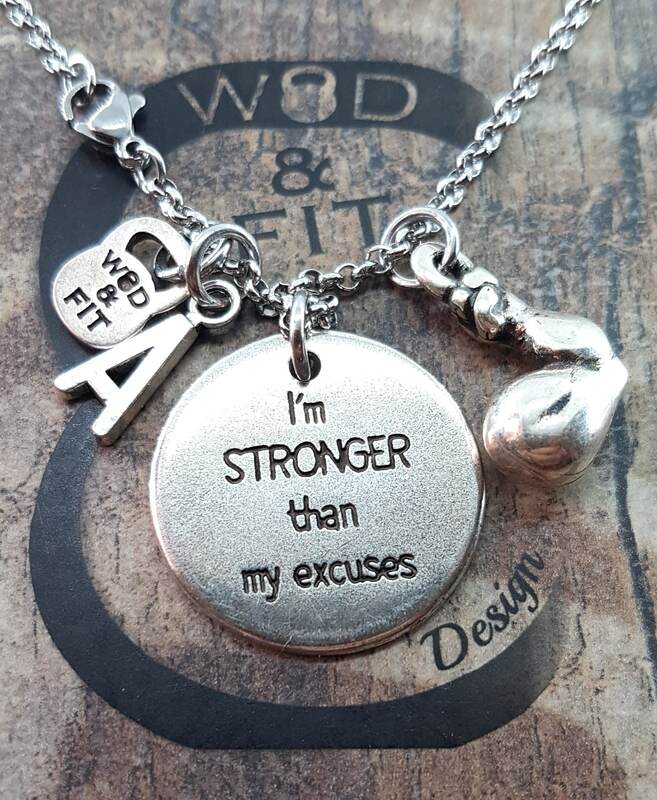 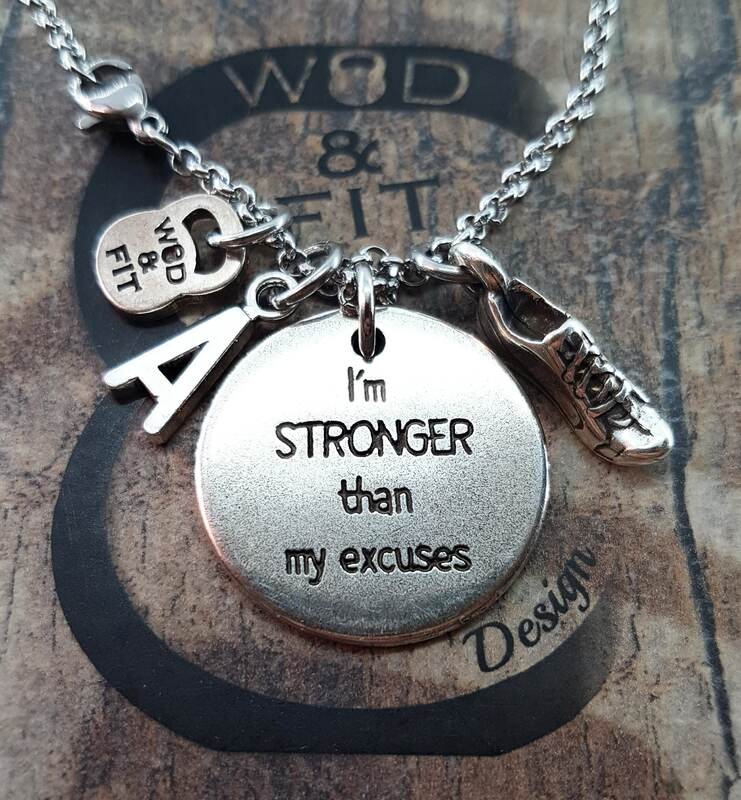 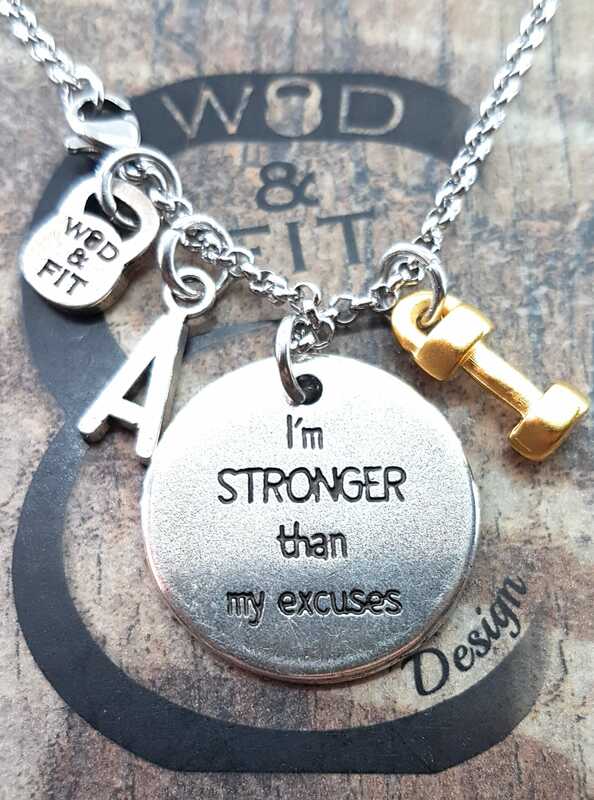 - "I'm Stronger than my excuses" weight and letter.